Ants Marching – The Definitive Dave Matthews Tribute band!. Absolutely performing, and nailing, the totally unique sound and catalog of the one of the most intriguing American bands ever. Ants Marching both replicates the stirring vocals and incredible musicianship of the one and only Dave Matthews Band. The lighter side of one of the Fox Cities most popular cover Bands. THE BEARDED BROTHERS are a wild quartet of musical rogues that have entered into a pact to melt faces and bring even the orneriest of people together in fun. Prior to forming their follicle-faced brotherhood the lads played together in the Fox Valley favorite 6 Figures but reformed in 2017 to bring about a new feast of Rock mayhem! The Bearded Brothers are one of the most entertaining bands from the Fox Valley, performing a fire-breathing eclectic mix of rock, blues, country, and alternative music—the perfect band for all your musical needs. As a musician from a family of musicians, Benjamin has entertained crowds, young and old. He has had the opportunity to travel the world playing and singing in venues including The Hard Rock Cafe in Beijing, China; Lotus Bar, AC Beach Bar and The Fish Bowl on Koh Tao island in Thailand; Leach Amphitheater in Oshkosh, WI (as the leader of Men In Suits); Johnny Foxes in Inverness, Scotland; BlueBay Grand Esmeralda Resort Riviera, Mexico; and hundreds of venues in the USA and Canada. The Chriz Selke Band features three members all formerly from other Wisconsin "A" list bands. Covering rock from the 70's till present and Top40 County favorites this band is designed to keep people dancing. Chriz is a multi-time WAMI (Wisconsin Area Music Industry) nominee with a personality that gets people involved in the fun. Performances at venues like Miller Park, Lambeau Field, The Wisconsin State Fair, 100's of weddings and festivals across the Midwest and more. This trio will not disappoint. Product of Northern Wisconsin, Crossing Croix is fronted by Beau Herron and Tj Christensen; two members of the former local band, Whiskey Nights. The Croix guys have been a busy bunch recently, playing shows across the mid-west including venues in Colorado, South Dakota, Minnesota, Iowa, and Wisconsin. A music scene veteran, Dan Tulsa has been rocking crowds for over 25 years. Playing a classic mix of acoustic rock and country hits from the 60s to today. All the familiar songs you remember from the Beatles to Green Day, Johnny Cash to Luke Bryan - all done in Dan’s unique acoustic style with spot-on vocals. Are you tired of the same old cover bands playing the same old classic rock tunes night after night? Do you yearn for a fresh, new band to make you move your feet and pump your rump? It sounds like you could use a heaping helping of The Feel Good Kids! In this exciting rock quartet, sugar, spice, and a case of Miller Lite come together to create talented musicians who dazzle audiences with the hits of yesterday and today. Their live shows consist of artfully reimagined covers littered with medleys and mash-ups that are sure to get the crowd jumping and fists pumping. Gabriel is a musician of several instruments. Drums, Guitar, bass, keys and vocal, all of which make him a more believable Prince impersonator. He started performing as Prince when a local Milwaukee theater asked him to play Prince in the Purple Rain production they were producing. Always being a Prince fan but never thought of trying to emulate him, Gabriel took on the challenge. After much hard work the show went off so good that Gabriel decided to keep doing it as a concert style show, bringing the choreography he envisioned to life. The entire show is based on Prince as he was in the Purple Rain era. So let Gabriel transport you you back in time and give you the Prince experience of a lifetime. GREEN SCREEN KINGS is a three piece modern rock band from Appleton, WI. This four time WAMI nominated act performs captivating original songs and a variety of fan-favorite covers. The band has over 50,000 followers combined across all social media platforms and has played shows all over the country. GREEN SCREEN KINGS guarantees to put on an incredible live show and create a memorable experience at any festival, club, or event. Hannah Rose is a young professional singer and musician specializing in the Classic Country genre with her deep soulful voice. She is a wonderful and beautiful musician/singer/performer with talent on loan from GOD! With her personality and voice you won't even need a full band, she is amazing all by herself! She brings a top level of personalized performance playing to the customer's requests and interests. Taking acoustic to a whole new level! Logan Kinsella of Bad Habitz is now performing acoustically. Using pedals, Logan uniquely adds another guitar, a bass, and another vocalist. This allows him to solo over his own playing, create cool harmonies, and even sing with himself! The limits of one genre does not apply for this show, as Logan’s music taste spans from rock all the way to classic country. 6 decades of music, 1 guitar, 1 singer, unlimited possibilities. "Miss Molly" is Molly Conrad and Michael Theroux. Molly has been singing and playing piano for many years, and was a regular performer in the Minneapolis folk scene. Michael plays not only guitar but several other instruments, and has performed with many bands on the North Coast of California. Molly and Michael play an eclectic mix of classic and pop. Model Citizens is the band that gets you off your barstool and keeps you dancing all night long. Playing all the hits from Meatloaf to Macklemore, they’ll have you singing until last call. The band consists of a top notch crew of musicians that have played with all sorts of performers including: Copper Box, DAD, Little Plaything, Naughty Monkey, Party of Clowns, and Pounding Fathers to name a few. One of them is even a Disney princess in their spare time. This is the one band that has it all. Make sure to check out their next show. MOSTLY WATER plays the best music from any era. Pick a decade and this band will cover it! From the Animals to Journey to Tom Petty, from Janis to Miranda and Johnny Cash to Luke Bryan, MOSTLY WATER will keep you moving all night long! A 4 piece variety band based out of the Fox Valley, Ruckus has been performing around NE Wisconsin for the past 4 years. With all 4 members involved vocally and a strong male/female co-lead singer set up, Ruckus brings high energy and a wide ranging set list that focuses on the fun and keeping the party going. From Bad Company to Black Eyed Peas, from Pearl Jam to Pink, Ruckus has as good a time playing their favorite songs as the crowd does dancing and singing along. Scott has over 30 years of professional experience in concert, clubs and in the studio, performing thousands of gigs and on dozens of recordings. He has played both nationally and internationally and has appeared on stage and recordings with such diverse artists as Luther Allison and Albert King (blues), James Burton (Elvis), Aaron Neville, Fred Wesley (James Brown) and members of The New Power Generation (funk/R+B), and jazz greats such as Jack McDuff, Steve Khan and Steve Swallow. 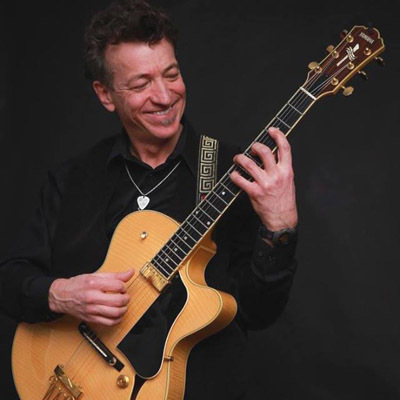 Scott has also helped put on clinics with the late, great studio guitarist Tommy Tedesco, and clinics on his own at grade school, high school and college levels. As with almost everything, “variety is the spice of life!” I.e. : It’s nice to have options! SIDESHOW is directly affiliated with the Wisconsin Fox Valley Rock N’ Roll band, Sonic Circus – being made up of 3 of that band’s members: Rico Jaeger / Vocalist, Drummer & Guitarist, Johnny Palecek / Keyboardist, Bassist & Vocalist and Tony Navis / Drummer, Keyboardist and Vocalist. Together, this diverse trio brings with it decades of stage entertainment experience, with all 3 members singing and playing multiple instruments. But the real thing that sets SIDESHOW apart from the other “downsized” acts out there is that they are not an acoustic show – they are simply a smaller version of the full Sonic Circus band. Still well-lit with a big sound and tons of energetic classic and current rock, they come to PLAY! But they can fit into smaller venues, set up in less time and attain a higher level of musical diversity due to their small lineup. What does this mean for the buyer? 1) An approachable fee, and 2) the ability to run a live rock band in a setting that may not be particularly conducive to hosting a larger act. But make no mistake about it: while SIDESHOW may be smaller in production and man power, they are nonetheless still very much a REAL ROCK BAND. Ranging in everything from REO to BonJovi to The Violent Femmes, they will consistently transition your toe-tapping barstool patrons into dance floor party people in no time with their dance / party-oriented playlist! Add to that a half-cup of drinking games, a dash of the occasional “guest vocalist” and liberally-pepper the night with witty banter and audience participation, and you have a winning recipe for a very fun & memorable evening for your clientele’! Put your club in direct competition with the venues running live entertainment. And do so affordably, easily and fun …with SIDESHOW! With a soulful, unique style Nicki Sims performs with warmth and passion. No stranger to the music scene, Nicki's dynamic stage presence and heartfelt live performances have been appreciated worldwide. Whether touring with Europe's foremost pop/rock group (Didier Gatsby et les Lunitics) or Grammy and Academy Award winning group (The New Christy Minstrels) or America's premier folk-singer Glen Yarbrough, or winning the Songprize International Songwriting Competition, Nicki's musicianship, energy, drive, and positive attitude have always been the perfect combination for success in all his endeavors. The Stage Hoggs are a Wisconsin based variety band covering Top 40 Country, Rock from the 70's through today, Top 40 Dance Music and a variety of other all time favorites. With a catalog of over 1200 songs to choose from The Stage Hoggs have something for everyone. Powerful vocals featuring two lead singers, amazing harmonies and a rock solid show will have you dancing and singing along all night. Shake your Bacon with the area's very best! Straight Outta Ocompton! Steve Peterson grew up in Oconto, Wisconsin and is a talented guitarist and singer who has been playing and singing since he was 5 years old. He comes from a long line of family musicians as his parents had bands through the 60’s 70’s and 80’s. Branching out from being the lead singer of local favorite band Crossing Paths which plays all over Northeast Wisconsin, Steve is taking his solo career on the road as he continues to play all crowd favorites as well as hidden gems. Although mostly playing as a duo in this project, you never know who will perform along with Steve as many of his local musician friends like to show up and jam along. The duo consists of Steve on acoustic guitar and a drummer, and varies by show, with either live drums, a conga percussion set, electric drums or hand and foot percussion instruments, pending the venue and volume level requested. They can rock out loud or play whisper quiet dinner shows! Ask and you shall receive! They look forward to being the creator of your next set of smiles and happiness! Three Gunns Loaded is a 3 piece acoustic group, playing all of your favorites from the 70’s, 80’s and newer. The band is constantly adding new material and whatever the occasion, they work to please most everyone in the crowd. All 3 band members sing lead and background vocals, producing a great sound, and interacting with the audience to be sure a good time is had by all. The music is also kept as a very reasonable sound level appropriate to the venue. The Tighty Whiteys are a four piece variety classic rock group, based out of the Green Bay, WI area, with roots as far back as 1984, then known as Celebrate Show Band. All four of our members were part of the core of "Celebrate" entertaining for weddings, festivals and private parties all over Wisconsin, for many fun years. After stepping away from the music scene for a few years, they have reunited into what they are today, The Tighty Whiteys. This band of professionals bring their musical talents and excitement to every show, taking their guests on a musical journey of classic rock favorites that will have you tapping your toes, clapping your hands and singing along with the band. Find just the talent you need - for any type of event!